Good luck! I’m giving away 5 copies. The draw will end April 15, 2015. The other evening, my husband went to bed before me. He was wiped after a long day at work, and I was still buzzed from my day of writing. So he went to bed, and I watched a murder mystery on TV. So I turned off the lights, checked the locks and puttered off toward bed. I crawled into bed next to my husband who was snoring deeply. But I got to thinking… Wouldn’t it terrible to be the Plan B? I knew I wasn’t… but what if things had turned out differently, and I was? This is how a novelist’s mind works when she really should be sleeping and is staying awake in bed instead. She works herself into knots, replotting her own story. What if?? I decided that the only way to untie this unrealistic knot was to get some reassurance. So I snuggled up to my husband’s back. He didn’t wake up. I patted him. No luck. I rolled over and put my back against his. Nothing. I reached back and smacked him harder. Mr. Johns sputtered and moaned. Me: Oh, are you awake? Me: So, I was just wondering, honey… Am I the love of your life? Me: The one you’d measure everyone else against if I were to die an untimely death? Him: Of course, baby. Soul mates. Because men have a very hard time saying the right thing when they are half asleep, unless the right thing happens to be the true thing. Being married to me must be interesting. Mr. Johns finds me intriguing, but that’s because I was created for him. (He was born first.) Or you could say that God created him for me before I was even born. Regardless, we were made for each other, so when I wake him out of dead sleeps to ask him What If questions, he doesn’t seem to mind. In fact, the next morning, he doesn’t seem to remember. When the baby he rescued seven years ago returns–with his widowed adoptive mom–Deputy Fire Chief Matt Bailey can’t turn them away. Desperate to escape the reminders of his failure in the line of duty, Matt is close to leaving town. But one look at Rachel Carter and her son, Christopher, has him second-guessing his plans. Rachel is a mom in need of a hero for her son. But as much as she wants the two to bond, she’s determined to keep her distance from Matt. 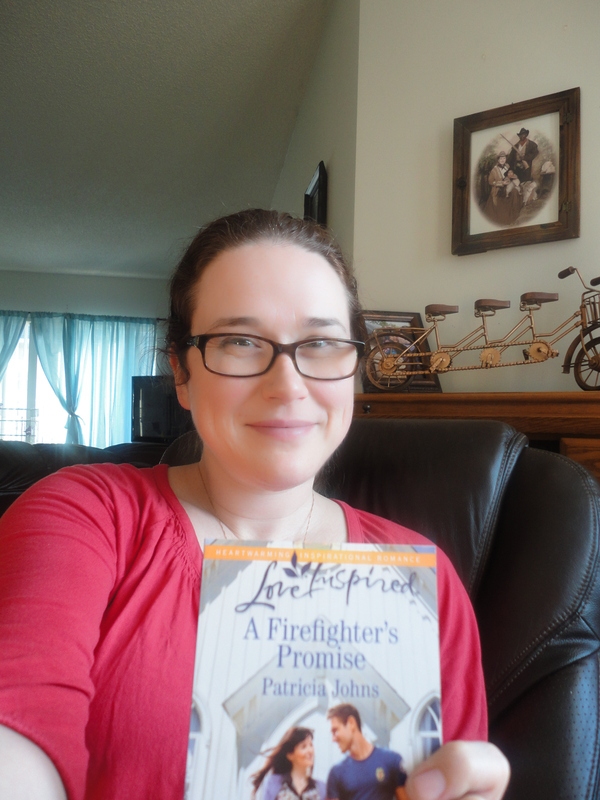 After losing her husband on the job, she’s promised never to love another fireman. Yet somehow she finds herself drawn to the one man she should avoid. 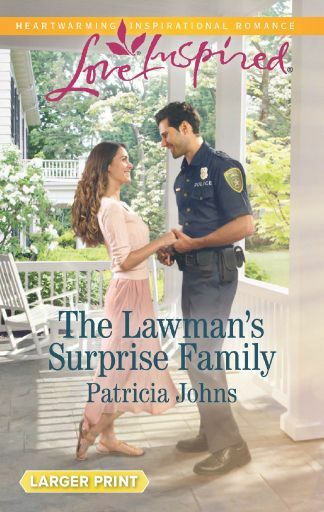 Look for A FIREFIGHTER’S PROMISE in a bookstore near you in May 2015! 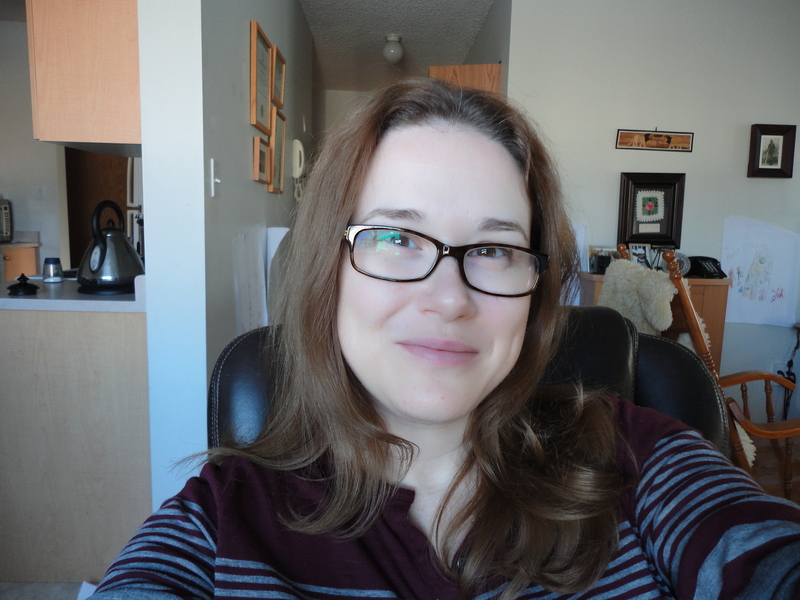 Today I picked up my brand new, terribly authorial glasses. It was high time I got new glasses. The last glasses I had kept slipping down my nose, and I wouldn’t really notice. My husband complained I looked like an old lady when I peered over the top of them, but I had good excuse. I got those glasses when my son was a toddler in a stroller. Anyone who has had a toddler in a stroller knows exactly how relaxing it is to stroll those grabby hands through a frame store. The place was busy and the person working there said I’d need to come back in like 3 hours. It wasn’t three hours, but it might as well have been. I had a tired child. With allergies! I had to feed him something. Get him home. Make him sleep! I wasn’t waiting around for half an hour, or whatever impossible time I’d been asked to wait. So I just took the glasses and left. And for four and half years, I wore glasses that slid down my nose. So if writing books wasn’t enough for you, I now bring you glasses. Terribly authorial glasses. That stay up. If you give every single checker piece a back story (and don’t be lazy about it! I mean EVERY piece! ), let him give a little speech when he gets kinged, have him show the checker piece next to him snapshots of his family and then give him existential crises when he’s faced with jumping another piece… Give them sweethearts back home, weight them down with personal memories and hopes for the future. When that gets boring, you can turn your entire little army into pacifists who give lengthy monologues about the value of every game piece and sacrifice themselves for each other at every opportunity… it gets to be fun again! For me, less so my husband… he made me change themes. The checker pieces were too sympathetic at that point. Our favorite story arc involved the CIA, a Russian peasant community, brainwashing, and an inordinate love of minivans. No checker pieces were harmed in the making of that story. 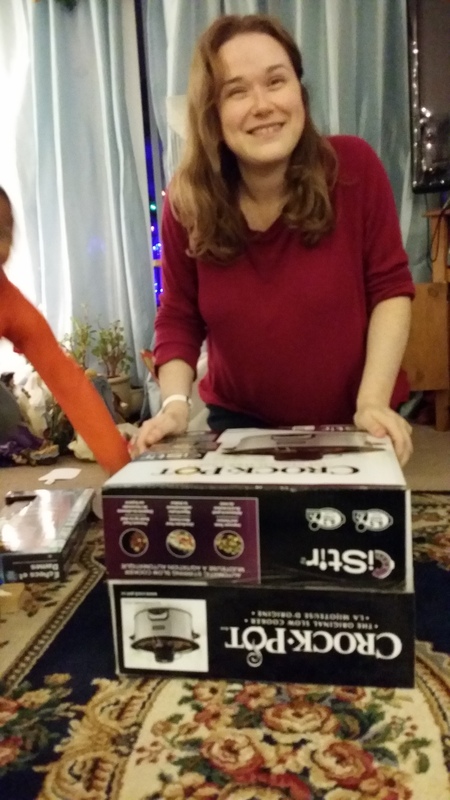 So that was my Christmas! Be thankful that you aren’t married to a novelist, or you might have to endure long, guilt-inducing monologues during board games, too. I hope you all had a wonderful holiday, and that 2015 brings you happiness and prosperity! Between you and I? I’m really looking forward to a quiet little Christmas with just my husband and son. Quiet little Christmases don’t make for good book plotting. Big family mayhem is just more interesting to read about, but there are perks to having a quiet holiday in real life. 1. You get to do what you want to do! This has been a vicious flu season for my family. It just lingers, and then revisits us in different forms. I blame the petri dish of the elementary school for introducing us to these germs of mass destruction, but what can you do? A quiet holiday will give us all a chance to rest up. 3. It’s just like we used to do when I was a kid. So this year, we’re doing Christmas a little differently. How about you? Big Christmas? Small Christmas? Unique Christmas? Whatever kind of Christmas you’re about to enjoy, I hope it’s a happy one! From my home to yours, I wish you a very merry Christmas, and the happiest of New Years! Happy ONE WEEK before Christmas!